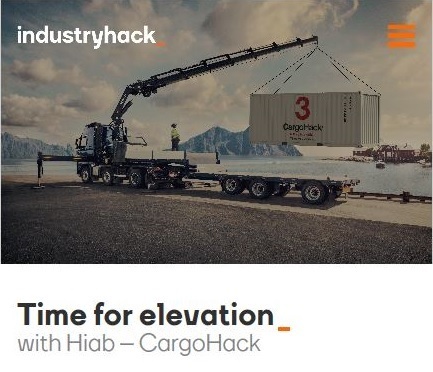 CNet has been selected as one of the eight finalists in the challenge “Time for elevation” from Hiab – Cargohack. To tackle the challange in logistics to have 100% of the deliveries on time and in perfect condition and to meet future demands, Hiab is committed to keep on developing new solutions that unlock the full potential of load handling and created the Contest “Time for elevation” for external teams to co-develop new concept demos and solution prototypes. CNet successfully entered the challenge and will participate in the finals, an On-site hackathon on 5th to 7th September 2017 at the Hiab R&D laboratory.